Eurycea subfluvicola (photo above by Michael Steffen) is a salamander found in the Ouachita Mountains of Arkansas (USA) and described in a recent paper. See National Geographic for further details and for more pictures. 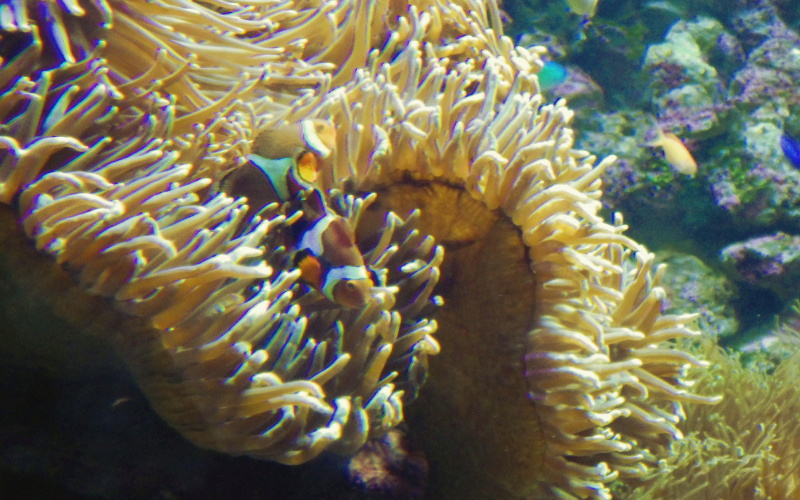 The Sydney Aquarium is one of Sydney’s more popular tourist attractions, particularly for families with children. A highlight of the aquarium is the large shark tank, through which visitors can walk in a tunnel. For more information, see the Wikipedia article and the aquarium website. Tripadvisor gives the aquarium 4 stars. “MALCOLM: You see? The tyrannosaur doesn’t obey set patterns or park schedules. The essence of Chaos. ELLIE: I’m still not clear on Chaos. Wired also has a piece on the anniversary of the film (concentrating on the special effects). Arabidopsis thaliana, the thale cress (photo above by Peggy Greb, picture below by Johann Georg Sturm and Jacob Sturm, 1796) is a small flowering plant in the family Brassicaceae – the mustard/cabbage family. During much of the 20th century, A. thaliana was the target of extensive research, facilitated by the small size of the plant (and of its genome), its short life cycle, and its suitability for light microscopy. Sequencing of the genome was completed in the year 2000, and the genome is available at arabidopsis.org. The open-access peer-reviewed The Arabidopsis Book also collates information on the plant, which is in many ways the botanical equivalent of Caenorhabditis elegans. It has taught the world a great deal. The concept of the analemma can also be used in constructing sundials. 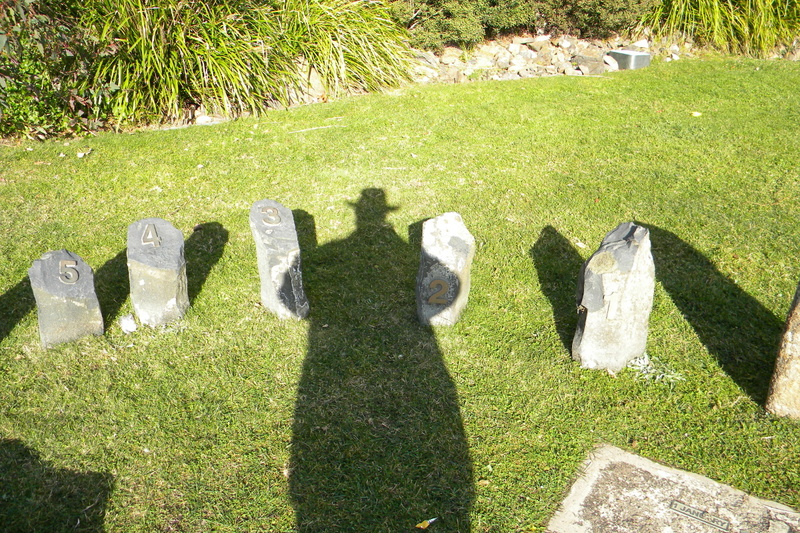 If an appropriate analemma is placed in the centre of the sundial, a gnomon placed at the right point on the analemma will correctly tell the time with its shadow (except for daylight-saving, of course). Such sundials are popular in parks, because the viewer can stand on the analemma at a position corresponding to the current date, and his or her shadow will tell the time, without the need for additional time-of-year correction. 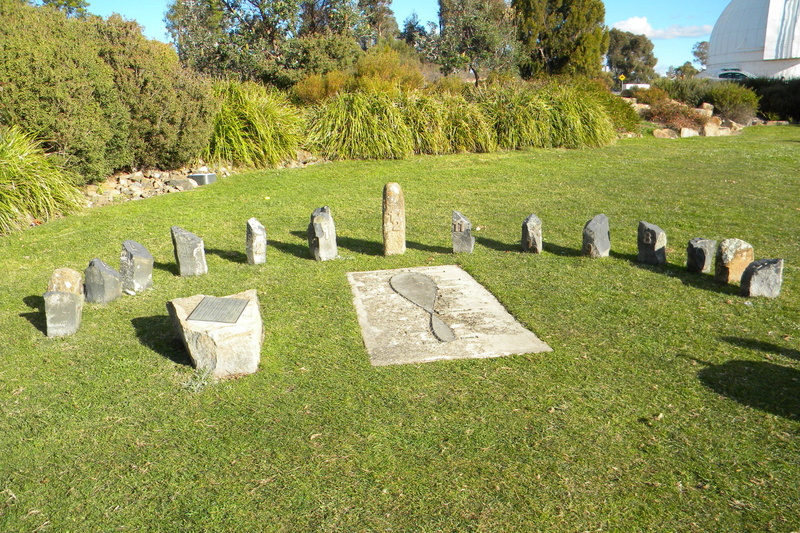 I photographed the sundial above and below at Mt Stromlo Observatory in June 2012. It can be seen that the time was about 2:20 PM. Fire rainbows, illustrated in the photo by “Dehk” above, are actually not rainbows at all, but a halo phenomenon related to the sun dogs previously discussed. Fire rainbows are on my bucket list too, given the many beautiful pictures of the phenomenon on Flickr and on Wikimedia Commons. In what they are calling a “preanniversary,” Wired is highlighting the image above (thanks to NASA, ESA, H. Weaver, A. Stern, and the HST Pluto Companion Search Team) of everybody’s favourite dwarf planet. A year from now, New Horizons will be giving us much better pictures of Pluto. And we will finally find out if Robert Silverberg was right.